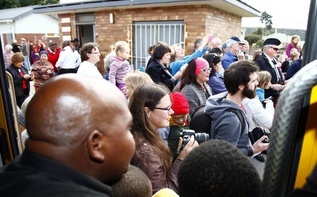 A unique fun duathlon style relay event hosted in Nelson Mandela Bay offering the ultimate corporate team building event. 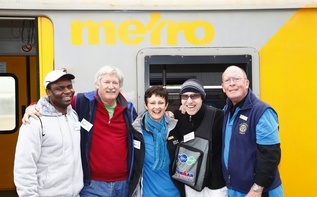 The Nelson Mandela Bay Train Race is a fun social event which we hope will grow into the Metro's largest community program and comprises of a fun relay race against a Metro Train along the route between Port Elizabeth station and Uitenhage station. 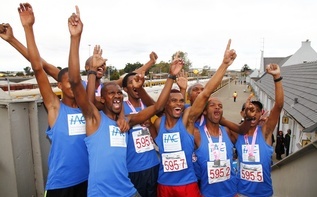 Corporate, social, club and school relay teams comprising of 5 runners and 1 mountain bike cyclist will get to participate in this community driven event which is open to all members of the public interested in contributing to the wellbeing of our community and who are fit for the challenge. 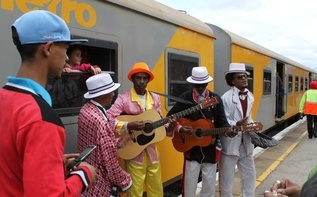 As with most of our Zsports events, the Train Race will have a festive atmosphere, camaraderie and healthy fun where teams are encouraged to dress up on race day and bring the whole company out in support of this event. 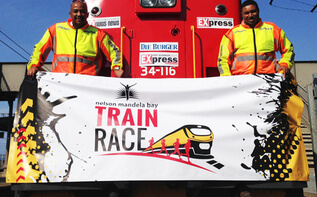 Members of the public, sponsors representatives and VIP's will be given the opportunity to experience the Nelson Mandela Bay Train Race from inside the train that is competing against the teams - for some a once in a lifetime experience. Please note that NO ALCOHOL, NO GLASS, NO ANIMALS, NO SMOKING is permitted on the Train. Watch website and facebook to see when these Coach tickets become available. TICKET SALES OPEN 1st June. 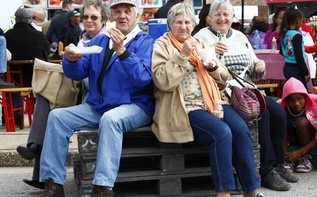 The finish of the race (from 10:45) takes place at Uitenhage Station, which is transformed into a festival area with beer garden, food vendors and a Kids Play Zone. Come support the teams and individuals and enjoy the morning with us.